This position is responsible for (i) legal issues associated with the Medical Staff, including attendance at Credentials Committees, revisions to Medical Staff Bylaws, and support and advice to the various institutions for Medical Staff issues; and (ii) the provision of legal advice regarding patient care and other health care related legal matters. A Juris Doctor degree from an accredited law school. Continuing legal education involving legal seminars, review and study of legal periodicals and constant review of judicial decisions and legislative enactments and pronouncements. In-depth knowledge of Medical Staff and hospital law. Knowledge of federal, state, and local statutes and regulations which affect health care is required. 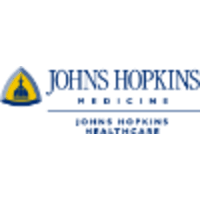 Requires highly developed analytical legal skills, and ability to communicate, verbally and in writing, with all levels of Health System personnel, Johns Hopkins School of Medicine physicians, patients, visitors, and attorneys. Demonstrated interpersonal skills. Member in good standing of the Maryland Bar. At least ten years of experienced practice at the Bar of the State of Maryland, withat least five years of experience during which a majority of time was spent providing legal representation with respect to Medical Staff matters. Experience with the Joint Commission vis-a-vis medical staff matters preferred. Experience with medical staff privileging and disciplinary issues, including due process hearings, preferred. Works in normal office environment where there is little discomfort due to extremes ofheat, dust, noise, temperature, etc. Work requires considerable attention to detail (approximately 40% of time) which would produce a high level of mental/visual fatigue.